Carlo Cracco has no peace. It has only been open three months its new restaurant in Galleria Vittorio Emanuele II in Milan and has certainly aroused great curiosity, not only for the menu but also for the beauty of the premises, the elegance of the Art Deco style furnishings, and the original details, such as the work entitled Heterochromic which represents two eyes, that of the chef and that of his wife, placed in the two external lunettes. However, the restaurant has also been discussed on several occasions. First of all the millionaire rent, then the huge number of workers, now the menu: according to the social community the prices of individual dishes are very high. The very last controversy belongs to a particular dish. After the case about the revisited pizza Margherita, now highlights are on one of the most typical dishes of italian cuisine: the cutlet. Despite being a great lover of revisited dishes, Cracco in this occasion has fully respected the tradition: it’s a veal cutlet, with bone and breaded as it should. Where does the controversy come from? “Haters” are contesting the price, 26 euros, too high considering that it is proposed not in the restaurant but in the bistro, generally characterized by lower prices. We ask ourselves: does it really make sense to raise price issues when it comes to star chef restaurants? We prefer to understand how is eating at Cracco’s and some proofs have already come from celebrities and influencers who have greatly appreciated the chef’s cuisine. 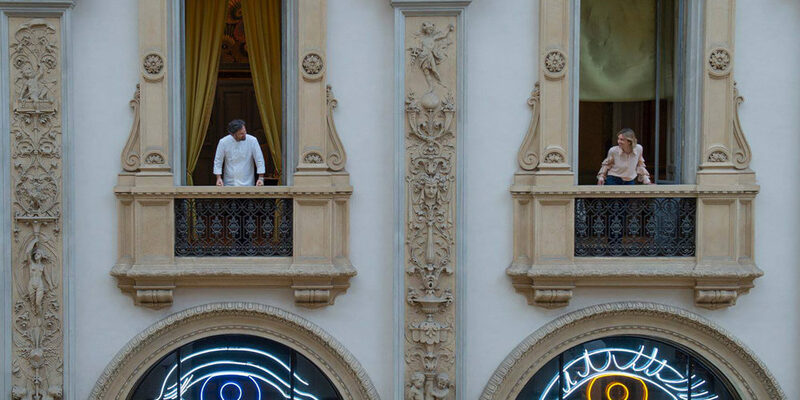 The lastest ones, Chiara Ferragni and Fedez, told their dinner through several posts and stories shared on Instagram: from photos of the inviting and accurate dishes, to those of the elegant rooms and the terrace overlooking the Galleria. Waiting to taste his delicacies too, we continue to follow the beloved chef to find out what will be the developments of his new restaurant: the premises are good, but unfortunately haters are always around the corner!